1 In Step 2, select (TIME). 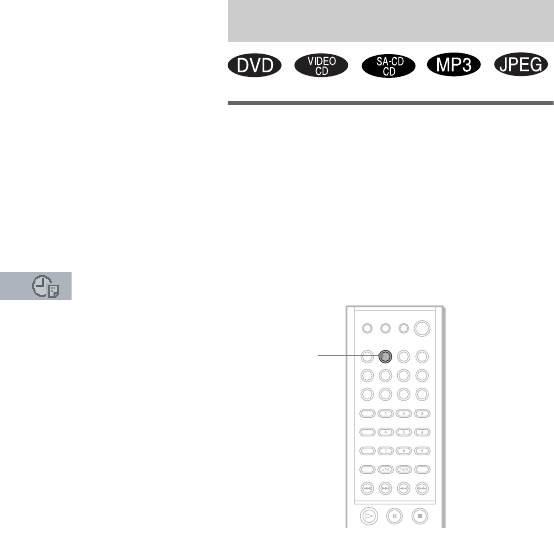 2 Press ENTER or c.
buttons, then press ENTER or c.
• You cannot search a scene of a VIDEO CD. Time and Remaining Time” (page 43). or MP3, using the front panel display (page 83).